Martix is a boutique art advisory business. We strive to understand every client's desires and requirements in order to propose the most suitable options. Our clients include people and companies from all around the world, such as important private collectors, museums and other institutions as well as five star and boutique hotels, interior designers, cruise ship, yacht chartering companies and real estate developers. We work directly with upcoming and well-established artists, classic, modern and contemporary art galleries, fine antique stores, antique dealers and auction houses. Art is a truly global sector and many of our contacts operate across the world. Through our international network we offer our clients a seamless delivery of services. Within this context we have been able to work on some of the most exciting projects around the world. Martix is managed by Maria Migadi. Maria holds a two-year diploma in Art History from Christie’s Education in London, a Higher National Diploma (HND) in Art History from UCL and a Master of Arts degree from SOAS (graduated in 2005 with Merit). Maria has thirteen years of professional experience in the international art market. She has worked as an art advisor in major auction houses and galleries in London, Monaco, and Cannes, and has organised international exhibitions. 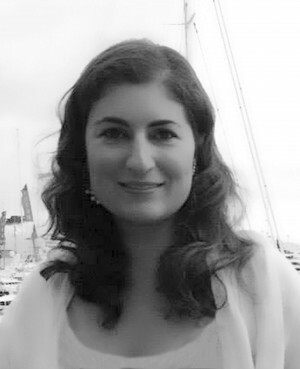 Maria consults and curates for major art collections worldwide, as well as in her homeland Greece.